Blue Knob All Seasons Resort is the highest skiable mountain with the most challenging slopes in Pennsylvania, with the longest and sweetest rides for skiers and snowboarders. In addition to our downhill skiing we offer snow tubing and groomed Nordic skiing. 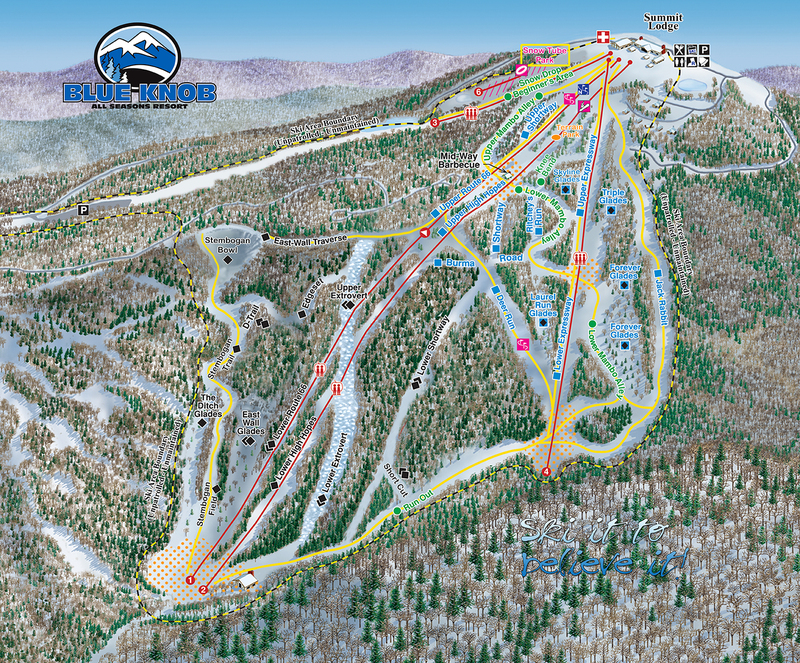 For the best skiing in PA come see us at Blue Knob.